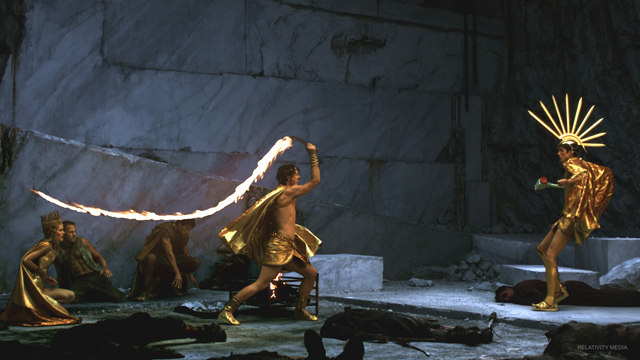 The New York Times published an article about the featire film Immortals and the effects in the film. 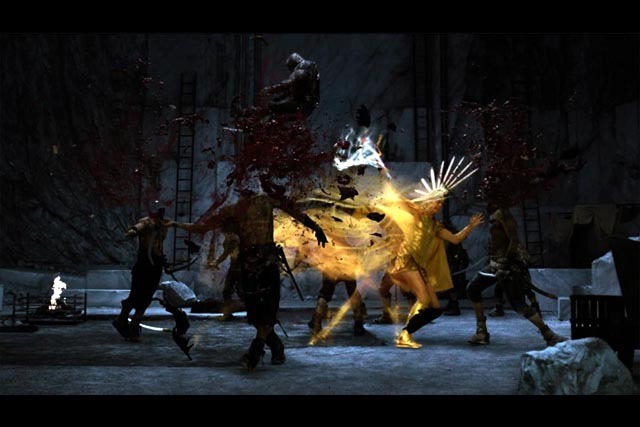 “One action sequence notable for a creative use of violence involves a god clashing viciously with humans. Though forbidden to interfere with mortal fights, Ares (Daniel Sharman) breaks the rule to rescue Theseus from Hyperion’s legions. He takes his hammer and moves quickly from soldier to soldier, smashing their heads before they have time to react. The action is slowed down, creating a burst of color that looks almost like a flower blooming, if that flower were made of brains and cartilage. “He proceeded on the theory that the gods’ version of real time would move so fast that humans would be virtually stationary. In battling a god, humans wouldn’t stand a chance. “That slow motion applies to the complex explosion of the heads in the scene. To achieve this Mr. Gieringer worked with the Montreal effects company BarXseven. They spent months creating the simulations for the head explosions, building a biologically accurate re-creation of the bone, cartilage and gore involved. Posted on Wednesday, December 7th, 2011 at 9:13 pm. Filed under: Uncategorized	RSS 2.0 feed.